SCH Technologies is working with Canadian Company, MG Chemicals, across Europe and Asia to grow their electronics process materials business. 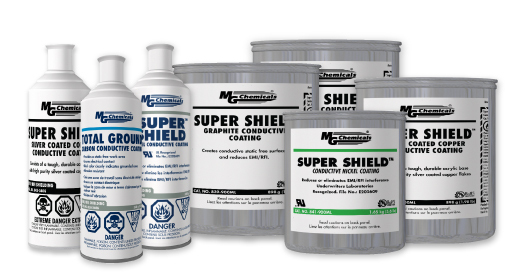 The MG range of materials include a complete range of RFI shielding paints and coatings for RFI / EMI screening, specialist epoxy potting compounds including thermally and electrically conductive encapsulates and UL approved materials and specialty lubricants, greases and adhesives. 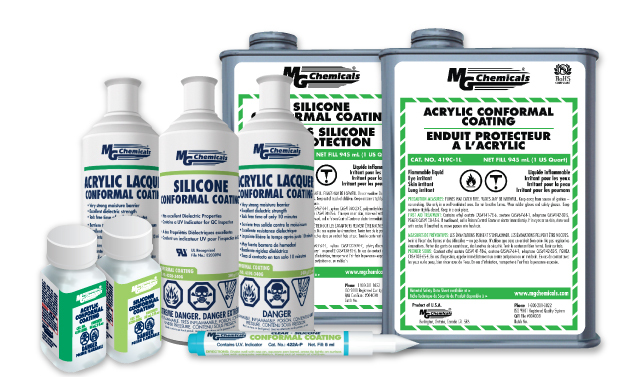 Conformal CoatingsA full range of conformal coatings including acrylic, polyurethane, silicones and urethanes. RFI / EMI Shielding CoatingsA full range of EMI/RFI Shielding Coatings including copper, nickel, silver coated Copper and Graphite. Greases and LubricantsA full range of Greases and Lubricants including Conductive, Heat Transfer, Thermal & Dielectric Greases and other Lubricants. 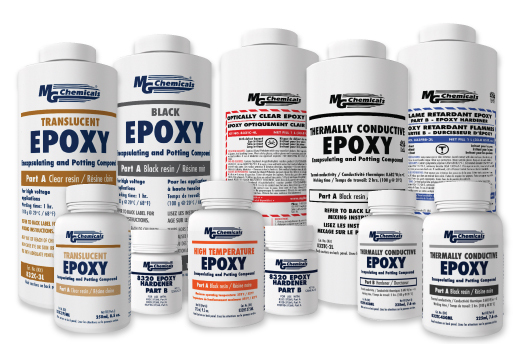 Epoxy CompoundsA complete range of epoxy potting and encapsulate materials including UL approved, thermally conductive and electrically conductive compounds. These materials are supplied with full training covering all aspects of application. SCH understand the importance of research and development and therefore all the materials represents cutting edge technology at an affordable price.